A very enjoyable day and evening! 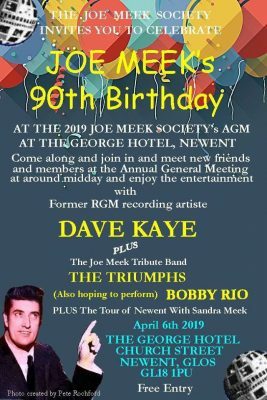 Well done to everybody involved with this event especially Pete and Shy Rochford and members of the Committee of the Joe Meek Society who invested a vast amount of time and energy in organising the event which helped raise nearly £400 for the Society’s funds. It was a real pleasure to meet Maurici Ribera Torres who as Craig says showed amazing determination to travel all the way from Barcelona to Newent in Gloucestershire especially for this event. Thank you Maurici! We gave our services free of any fee or expenses and indeed we paid for own accommodation at The George to ensure that all monies raised last Saturday went to the Society. 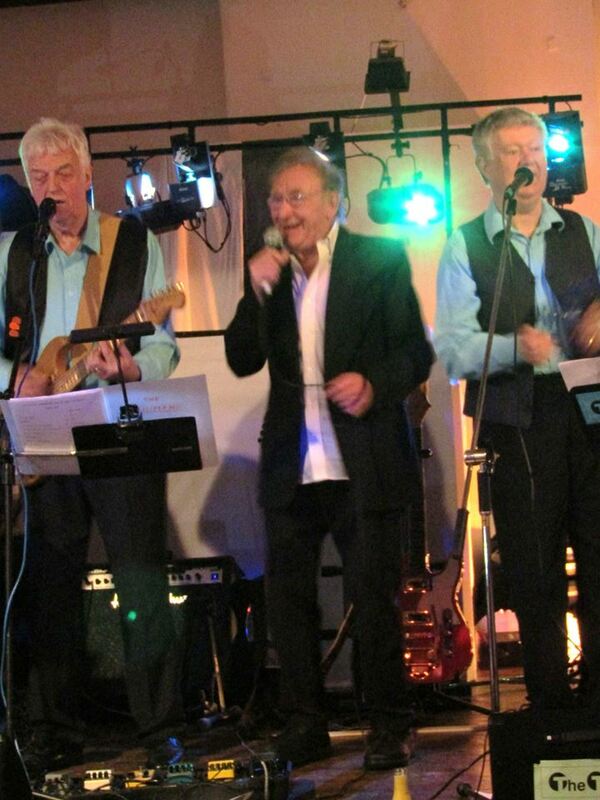 We are privileged to have within the Triumphs’s ranks another Joe Meek recording artiste the very talented and great band member Malcolm Lenny who recorded with Joe with The Packabeats. Before between and after our sets DJ Pete Rochford did a great job playing lots of Joe Meek tracks. 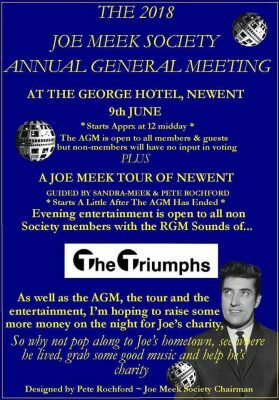 This year’s JMS AGM will take place at Joe Meek’s home town of Newent, which is situated a few miles away from Gloucester. The venue will, as usual, be the George Hotel, The date is Saturday, June 9th. 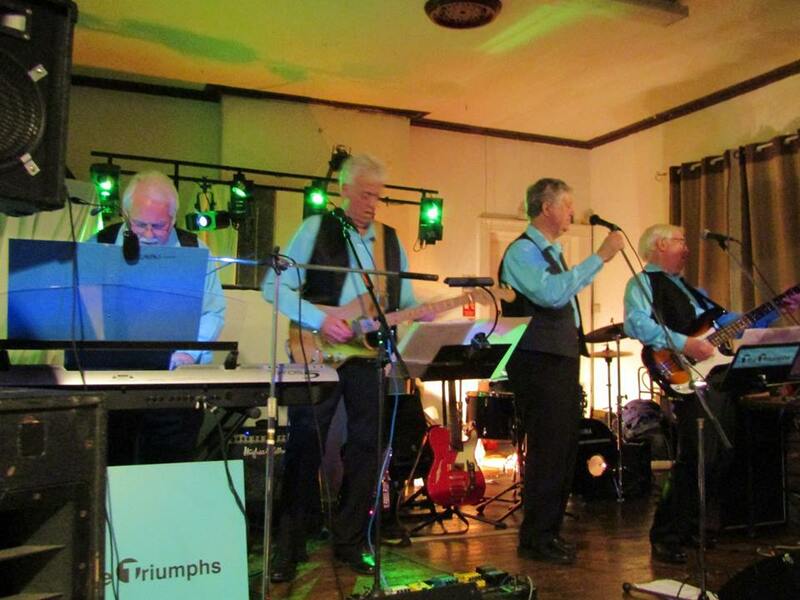 In the evening JMS Tribute group The Triumphs (featuring former Packabeats legend Malcolm Lenny on lead guitar / vocals) will perform a couple of sets of RGM / Meek classics as well as other rocking 50s and 60s hits (plus a few obscurities). Triumphs members Rob Bradford (vocals) and Ray Liffen (guitar) will be performing as a duo onstage at the Joe Meek Society AGM to be held in The Tabernacle, 35 Powis Square, Notting Hill, London W11 At 14:00 on Saturday 10th June 2017. The Triumphs performed in their own right at a fully sold out venue for the Joe Meek 50th Anniversary Concert 3rd February 2017 at the Imperial Hall, Waltham Cross and also backed other artists. On Radio Caroline tonight on Dell Richardson’s Good Rockin’ Tonight show. 7.00pm -10.00pm. (‘Google’ Radio Caroline for details). 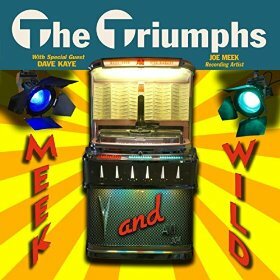 Along with my fellow Triumphs Ray Liffen and Ken Ledran we shall be previewing tracks (probably playing 12 tracks) from our brand new Joe Meek inspired CD ‘Meek and Wild’. I sing lead vocals on 12 of the 24 tracks (9 are instrumentals) as well as harmony / backing vocals on 10 tracks. We shall also be performing “The Coalman’s Lament ” live in the studio. The 24 track CD “Meek and Wild” is also available via downloads on Amazon, Googleplay, iTunes Spotify etc etc. The most popular downloaded track so far is our version of the Honeycombs’ ‘Have I The Right’. This is our tribute to the Joe Meek / RGM sound ( and the Buddy Holly connection). Well known tracks covered include: Telstar, Wild Wind, Runaway, Teardrops Fall Like Rain, Wipeout, Jack The Ripper etc. etc. AUGUST/SEPTEMBER 2015 – THE TRIUMPHS ARE BACK! 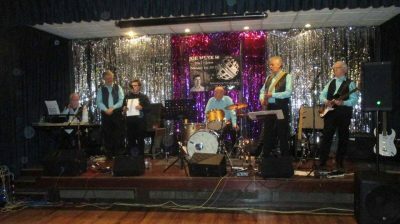 Joe Meek tribute group the Triumphs have been largely inactive as a live entity for almost two and a half years. 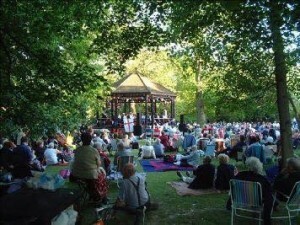 But….following a request to perform at a huge charity event..the Triumphs are back. Last Sunday 2 August 2015 was a warm sunny day at the Hotham Park Country Fair at Bognor Regis. In their return to live action The Triumphs played 45 minutes of 1960’s Pop. The band started with Runaway and ended with Have I The Right? and also included Telstar, Johnny Remember Me and Wipeout. Among the other songs the band also played Oh Boy!, Let’s Dance, Do You Wanna Dance. Hippy Hippy Shake and Shakin’ All Over.They reunited for a charity event at Bognor Regis’s Hotham Park earlier this August and would be interested in any future bookings for gigs.From time to time in their hiatus they issued a few recordings, but, although no longer performing live they had been working on brand new recordings for a full album release in the near future. In fact, this project has taken a little over three years!! Finally, the end product is now very close to being completed. The whole project is part of the group’s homage to Joe Meek and his RGM Sound and many of the artistes connected to that genre. It has been put together with a lot of love and a lot of care. Recordings have all taken place at Ray Liffen’s little studio in Carshalton. To be honest, 24 Dalmeny Road has a lot in common with 304,Holloway Road! Oh alright then… certainly in terms of lots of narrow flights of stairs to climb!!! Helping Ken Ledran to carry his drums up there, or Trev Faull with his heavy keyboards was sometimes quite an effort!Some tracks have been recorded live in the studio, with Ray doing post – production work a – la – Joe. Most tracks have been built up in a similar way that Joe did, a mix of composites and ‘bouncing tracks’. Old style, but done in a modern way. When I was doing the vocal work – anything double – tracked (be it the lead vocal or harmony lines) was always done ‘organically’ and live. No electronic, automatic double – tracking or electronic ‘chorus’. No ‘auto tuning’ either.Here are the tracks you can expect – although the running order may change.Teardrops Fall Like Rain: Included simply because Joe was a great Buddy Holly fan. This lovely song is one of Buddy’s less commonly covered efforts. Runaway: A great melody and a great performance by Del Shannon. Nothing directly to do with Joe, save that we know that he loved this song and that he was intrigued by the fabulous sounds from Max Crook’s ‘Musitron’ which provided the freaky instrumental solo midway. Timeless! He’ll Only Hurt You: A great track featuring Dave Kaye. A track written for him and envisaged as a big ‘Roy Orbison type ballad’. It remained unreleased and unfinished, only existing as a sketchy demo. We have simply tried to imagine how Joe might have finished it off. North Wind: A fantastic number. Surely one of Joe’s finest ever compositions and productions. Wasted on the B side of Houston Wells’ “Shutters And Boards”. The original is a masterpiece – this is just our tribute! M25: The Ted Taylor 4 undoubtedly were influenced by Joe. They recorded a track called “M1” back in the days when motorists picnicked on the hard shoulder. This Ray Liffen composition is a sort of latter day companion piece. Meeksville – Down The Holloway Road: Another splendid track written by Ray. A tribute to the hallowed studio. The Triumphs performed this track live and it always went down well. Here Comes The Good Times: A Geoff Goddard composition which has remained unreleased. A very basic demo exists. Again, the Triumphs have referred to the demo and completed their interpretation in honour of Geoff. Eye Of The Storm: An original by Ray Liffen. Written in the style of Joe’s latter day ‘Freakbeat’ type numbers. The Coalman’s Lament: Written as a deliberate derivation of “A Layabout’s Lament” (indeed – originally recorded by Ray Dexter and the Layabouts) – this is great fun and a slice of social history to boot!! The Triumphs’ version has found great favour with both Ray Dexter and Chas Hodges!! Jack The Ripper: Again…we could never hope to compete with Screaming Lord Sutch’s original classic. But deranged vocalist Rob Murly supplied the 1980s live stage version arrangement,which works a treat. All Shook Up: Joe always had acts who were ‘answers’ to other artists. So this is included as a nod to the mighty Danny Rivers who was Joe’s ‘answer’ to Elvis Presley!!!! Dreaming Of You: Ray’s wife Maureen sadly died during the period when the CD was being recorded. He wrote this beautiful song (very much in the manner of Buddy Holly) in honour of her. Ray’s demo was fine – but I was privileged that he asked me to sing it for this CD. During the take that was used, I am not ashamed to say that tears were streaming down my face. Wild Wind: A great vocal by John Leyton (written by Geoff of course) but the Triumphs decided to turn it into a cracking instrumental. The Heart Of A Teenage Girl: One of Joe’s earliest hits on the short – lived Triumph label. Originally performed by teenage heart throb George Chakiris (“West Side Story” and “633 Squadron”) – here is the Triumphs’ instrumental interpretation. Night Of The Vampire: Once again, the Moontrekkers’ version is definitive. But it is a track the whole group just love and so we simply had to record our own version. Husky Team: Starting out as “Orbit Around The Moon” – the melody morphed into “Husky Team” and was recorded by both the Outlaws and the Saints, so why not the Triumphs? Why not indeed?? Telstar: Joe Meek’s original with the Tornados is simply one of the all – time great instrumental and production masterpieces. But, of course, an RGM tribute group simply have to include it in their repertoire. So, we wanted to record our version for posterity! Sunday Date: A beautiful melody (written by Tex Cameron) and originally recorded by the Flee – Rekkers. I now discover that Joe had planned a set of lyrics based around a pair of star – crossed lovers who threw themselves off a bridge in a suicide pact!! Luckily he abandoned that idea. Green Jeans: Another Flees’ classic and a sizeable hit on Triumph. The Triumphs’ version went down well at live shows and so we wanted to include it on the new CD. Wipe Out: Heresy I know, but we mostly prefer the classic Surfaris’ original over the Saints’ RGM version. So, to compromise, the Triumphs version is a sort of hybrid of the two!! Big Jim: Ace RGM session player Big Jim Sullivan passed away during the time the CD was being recorded. Ken Ledran challenged Ray Liffen to write an instrumental in his honour. This track is the result. Little Sister: We once backed Danny Rivers performing this Elvis rocker and so we kept it in the live set. This is a live recording from the 2010 Joe Meek Farewell concert in Amersham. Have I The Right: The Triumphs interpretation of the Honeycombs’ fave always went down a storm in concert. This version is also from the 2010 concert at Amersham’s R’n’R Club. Just as soon as it is ready for release, we will send out a few review copies and tell people how / where they can obtain copies. Ray Liffen is our MD as well as being chief recording engineer and post – production maestro (not to mention lead / rhythm guitarist / co – vocalist and genuine all round nice guy). We hope that people will like this and hopefully support the project by buying copies!! !